Nancy Grace featured Troy Martin in an interview regarding the temporary conservatorship of Casey Kasem awarded to Mr. Martin’s client, Kerri Kasem. GRACE: Straight out to Kim Serafin, senior editor “In Touch Weekly,” what is happening to Scooby Doo? Where is he? And Shaggy, correct? 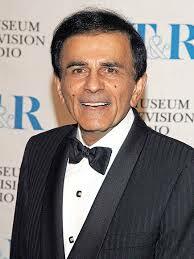 Casey Kasem. KIM SERAFIN, IN TOUCH WEEKLY: Yes. Exactly. It`s so sad, because I think so many of us remember hearing his voice, grew up hearing Casey Kasem`s voice, so this is so sad in so many ways. We don`t know where Casey Kasem is. We do know that a judge yesterday did appoint his daughter, Kari, a temporary conservator. They are due back in court on June 20 to find out if this will be a permanent conservatorship. But we don`t know where Casey is. Kari did say on her Facebook page, she believes that her stepmother, Casey`s wife Jeanne, removed Casey from the country or that he is on an Indian reservation. GRACE: Hold on right there. Alan Duke, the voice of Shaggy, Batman, Transformers, on an Indian reservation? Why? What`s happening, Alan? ALAN DUKE, CNN DIGITAL REPORTER: I don`t really think this is about money and about his will. Because, the children have already said that they don`t expect to be included in the will based on the conversations years ago with their father. It is really about saying good-bye or spending his last months or years with him. He has this thing called Louie Body dementia. We found it`s not Parkinson`s disease, it is Louie body, which is similar to that. And they only found out yesterday that that`s what it was, because until yesterday, the children were unable to talk to the doctors for legal reasons. GRACE: To Dr. Michelle Dupre, medical examiner, forensic pathologist joining me out of Columbia, Dr. Dupre, what is the Louie body dementia? What is that? MICHELLE DUPRE, MEDICAL EXAMINER: Louie body dementia is a degenerative dementia, and it`s caused by this thing called Louie bodies that build up in the brain. The interesting part is, it can build up in different places in the brain, affecting different parts, such as speech, or memory, but it doesn`t necessarily act like Parkinson`s disease. GRACE: Everybody, you are seeing shots of Casey Kasem, the voice of Shaggy, Robin, and Batman, Transformers, Peter Cottontail, TV star of “America`s Top 40.” Missing tonight. Alan Duke, explain to me the Indian reservation aspect. Why would you take someone to an Indian reservation? Is it because they are beyond state and federal law on an Indian reservation? They`ve got their own law? DUKE: That`s the only thing I can figure. But whatever — wherever he is, the lawyer for Jeanne, the wife, argued yesterday that because he is not in California anymore, he is outside the jurisdiction of the court, the judge said that`s not true. I won`t buy that, and appointed Kari, the daughter, as the conservator. But if you can`t find him, you can`t really enforce the conservatorship. GRACE: To Troy Martin joining us now from LA, special guest, the attorney for Kari Kasem. You know, Troy, I can`t even imagine this happening to my father. What are your client`s feelings? TROY MARTIN, ATTORNEY: They are very scared at the moment. Our greatest fear is that we won`t be able to find him in time to prevent anything terrible from happening to him. GRACE: Why is this happening? Why has he been taken out of the country or to some Indian reservation? Is it true that it has nothing to do with a will? What is it about? Why is he being hidden? GRACE: Clark Goldband, everybody is saying it is not about money, it is not about money. And I really believe his children have his health at heart. What do we know about his estate? GOLDBAND: Who can forget the phrase, Nancy, keep your feet on the ground and keep reaching for the stars. Well, Casey Kasem a legend. His fortune estimated at over $80 million, according to reports. At his peak, Nancy, he was on over 1,000 radio stations around the world. Think about that nowadays, folks. A thousand stations. And his library, his catalog, absolutely incredible. 2,000 episodes of cartoons. He`s done voices on over 10,000 commercials, Nancy. GRACE: Clark, you know who John David, my son, is obsessed with. Scooby Doo. We have seen all the episodes. Take a look at this home. Troy Martin, back to the attorney for Casey Kasem`s daughter, Kari Kasem. I know you guys are saying, it`s not about the money, it`s not about the money. That may be true for the children. But does the wife, is she with him right now, wherever he is? Is that what we believe? MARTIN: We believe that, yes, she is with him. That`s the information we received. We were actually tipped off by a relative of hers they were making these plans to go to Washington and hide out in an Indian reservation. GRACE: I don`t understand that. Not to be around your children at a time like this. Everyone, the search on for TV and radio star Casey Kasem. Troy Martin, thank you for being with us.